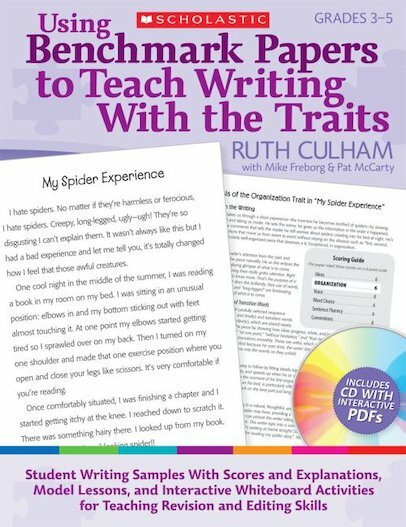 Trait expert Ruth Culham has created a diverse set of papers grades 3-5, assessed and annotated them, and designed an interactive whiteboard CD of exemplars so teachers and students can use them as the focus of trait-based writing instruction. The papers are highlighted by key quality for each trait, making it easy for writers to see what works and what doesn’t by simply pressing the color-coded buttons at the bottom of each projected paper on the white board. Can be used with overhead projectors as well.